Awesome simply awesome. The third issue in, marking the halfway point for our adventure, and I'm pumped. This had the excitement and intrigued that issue two was lacking for me. We start off with some weird fairies trying to bathe with a forgetful Bruce Wayne, when here comes Diana to help him remember why he was in TIR NA NOG. The two set out to explore the world for Batman to better understand the rules of this new realm. Along the way Batman remembers a story an Irish nanny told him. 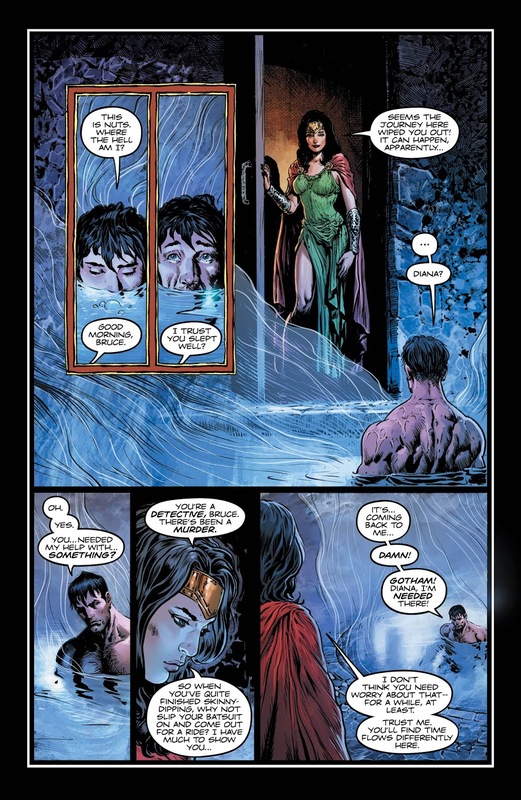 He discovered that himself and Wonder Woman were being followed and start to interrogate the spies. 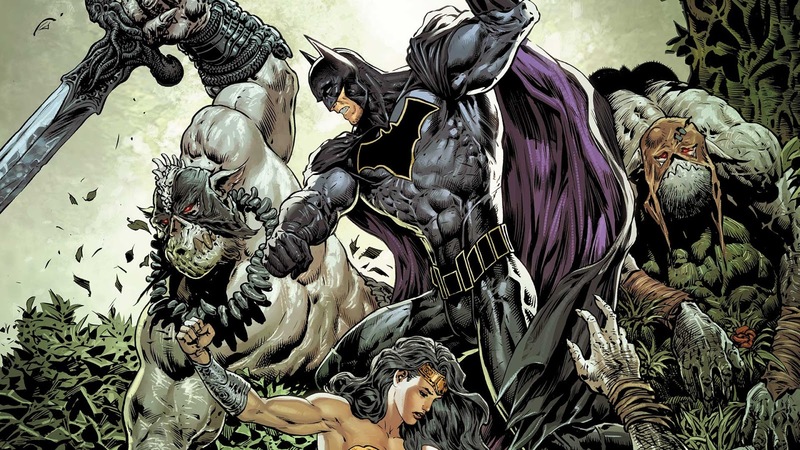 The interrogation goes south and Batman and Wonder Woman get into a fight against them. 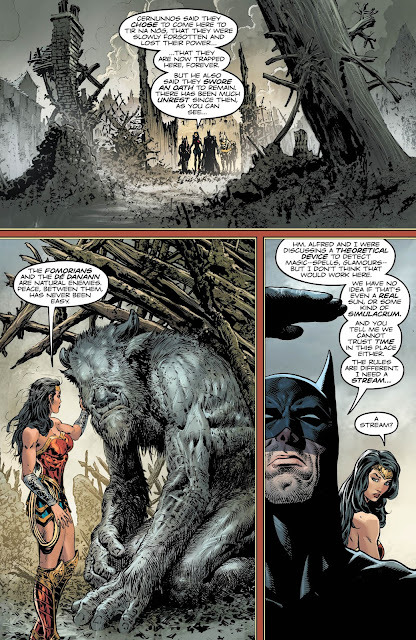 The duo starts making their way towards Cernunnos, where Batman discusses with him the visions he saw back in Gotham. Cernunnos believes these visions are "Phooka Nightmares" and that there might be a breach between both worlds. Batman decides to stay in TIR NA NOG to help Wonder Woman and find out what's causing those nightmares in Gotham. 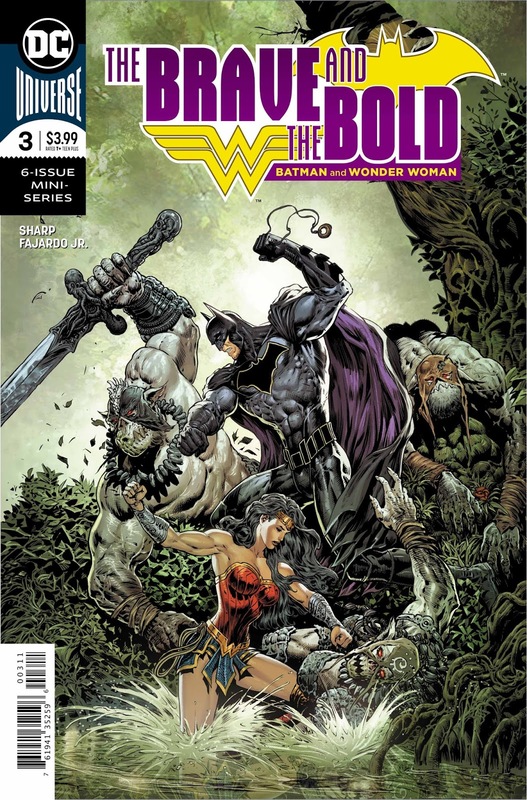 The issue ends with Batman and Wonder Woman discussing the fate of TIR NA NOG and the glimpse of an ominous threat lurking beneath them. This issue was great. it had Batman doing some detective work, some cool action, and a personally hilarious moment for me (the Fomorian crying.) I also love how this world continues to expand in its own lore giving more secrets and intrigue. I appreciate how the story is no longer jumping from two different points and now has a continues to flow. The art was absolutely fantastic. I think it's safe to say Liam Sharp is one of my favorite Batman artists. All the characters look beautiful and I especially love the panel layout; I never noticed it before, but the art direction is very reminiscent of an old fairy tale book. 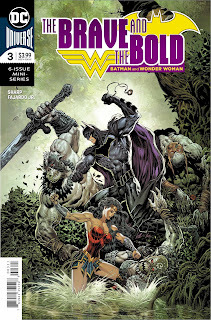 I have to say this issue, just like the first one, has left me wanting more. Now that all the setup is finished and we can finally start diving into the meat and potatoes of this mystery. I'm all aboard the Brave and The Bold train and am ready to be blown away.